Less than half-a-century ago, first contact from the outside world was established with the indigenous Surui people of the Amazon rainforest. Ever since that fateful moment, the community has been facing an existential crisis as tree logging and mining companies seek to exploit their ancestral lands. Almir was just ten years-old when the loggers first arrived, but his fight to protect his people’s culture and territory has become a lifelong struggle for survival. At the age of 17, Almir Narayamoga Suruí was the first person from his tribe to attend college when he inherited the title of Leader of the Suruí Paiter Indigenous People from his father. He grew up witnessing how his community had been devastated by disease brought in from outsiders as illegal loggers and miners threatened their way of life. Almir realized that their future was hanging in the balance. He knew that their land, nestled in a rich biodiverse niche in Cacoal, Rondonia region of the Amazon, faced extinction if he did not act. When loggers put a $100,000 bounty on Almir’s head, he left his village to seek the help of Google Earth in mapping his tribe’s territory as part of an ambitious 50-year development plan. 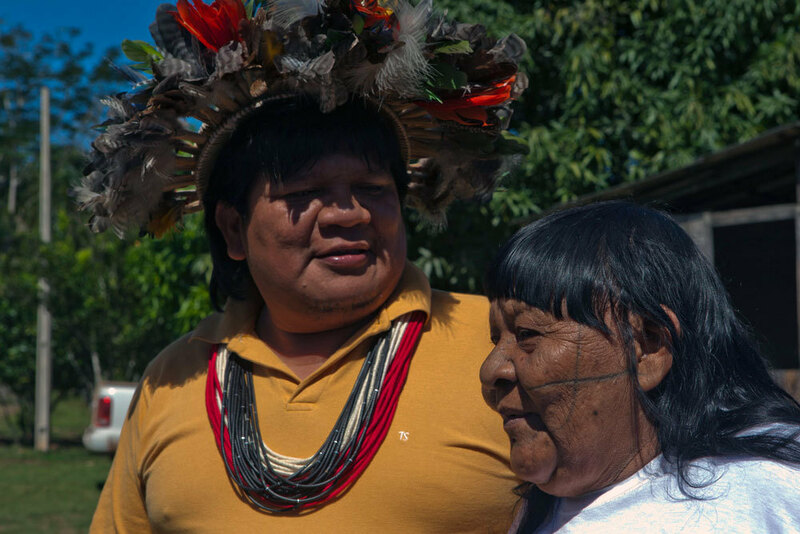 Almir describes how it was a turning point for his people: “There was a strategic diagnosis of our people and territory because we have to be vigilant of our land and assess what is needed in terms of health, education, the environment and sustainable agricultural production”. This sustainably-minded approach is now bearing fruit. Intercropped with cocoa and banana under the forest canopy, the Suruí Paiter community have been cultivating Robusta for decades – a cash crop that was introduced by settlers – which the tribe inherited after the land was officially demarcated by the government in the 1980s. And their natural process, sun-dried Conillon is now increasingly in demand. “From 30 tonnes of coffee production, four tonnes will be shipped to Europe this year. It is the first time that an indigenous Amazonian coffee in this volume reaches European shores. Our plans are to place emphasis on quality and to maintain the forest so that both can cohabit in equilibrium with the environment. In this way, we can get a good price for our crop to fortify our local economy and give value back to our culture”. Some of the most effective tools in Almir’s struggle to save his people and land are a laptop, phone, and access to the internet. It also allows him to reach new markets outside Brazil. The 43-year-old environmentalist explains that establishing alliances through technology with like-minded organisations is vital to protecting the rainforest through trade: “We first contacted the Aqua Verdeassociation who have helped us to promote the positive social, environmental and economic impacts of reforestation. They also put us into contact with algrano and the experience of finding a buyer like Rast Kaffee has been excellent”. Meanwhile at the other side of the Atlantic, Quadia, a Swiss impact investing company and investor in Algrano, had sponsored the Swisstainability G21 Forum, an annual event organized by Nice Future. The aim of the G21 Forum is to promote the ecological and social transition towards a better economy by gathering people from business, NGO and academics. 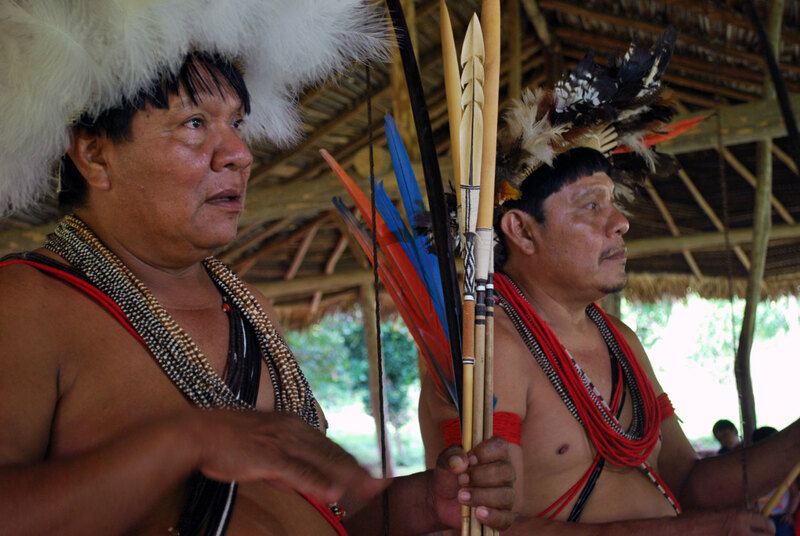 The Amazonian indigenous cause was at the heart of the forum in 2015 with the participation of Almir Surui, who showcased their efforts to defend their unique forests and biodiversity against the threat of deforestation. Since the Surui Paiter community is engaged in coffee production, Quadia facilitated the natural partnership between the Surui and Algrano, to enable the export of their coffee into Europe. Almir, who was ranked 53rd of the world’s most creative business leaders by Fast Company Magazine says that more than 500 people are now directly engaged in the cultivation of Suruí coffee. He has high hopes that his community will sell ten tonnes to specialty markets next year: “There is a lot of thought, care and emotion that goes into our coffee and we are thankful that consumers can enjoy our product” he adds. The income they earn helps to fund The Metareilá Association of the Suruí Indigenous People. Founded in 1989, the association works to defend and preserve the Paiter Suruí’s cultural and territorial heritage. A Paiter University also trains people in indigenous leadership and promotes sustainable agricultural practices. He says: “It is natural that many leave the tribe, go to study and return. This is good for the community because they bring back technical skills and knowledge”. 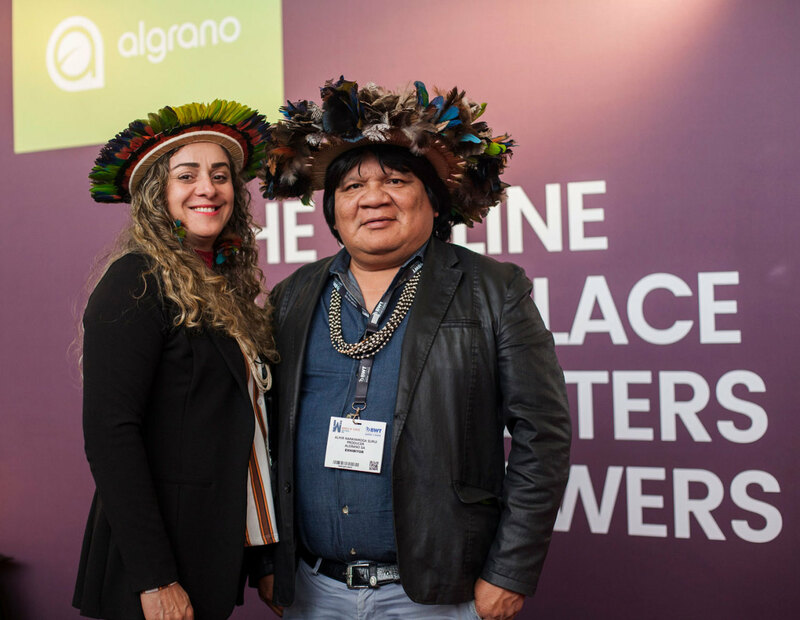 Almir has been celebrating his community’s pioneering transparent trade partnership through algrano with a which culminated in a visit to World of Coffee in Amsterdam in June: “I am very happy because we are seeing the materialisation of our plan”, he concludes. “As a producer, it is an unbelievable feeling to be so far away from home and enjoy the special moment of sharing a coffee together with the end consumer. A better future can only be possible with a conscious economy and this can be obtained by our vision of sustainable development through coffee”. 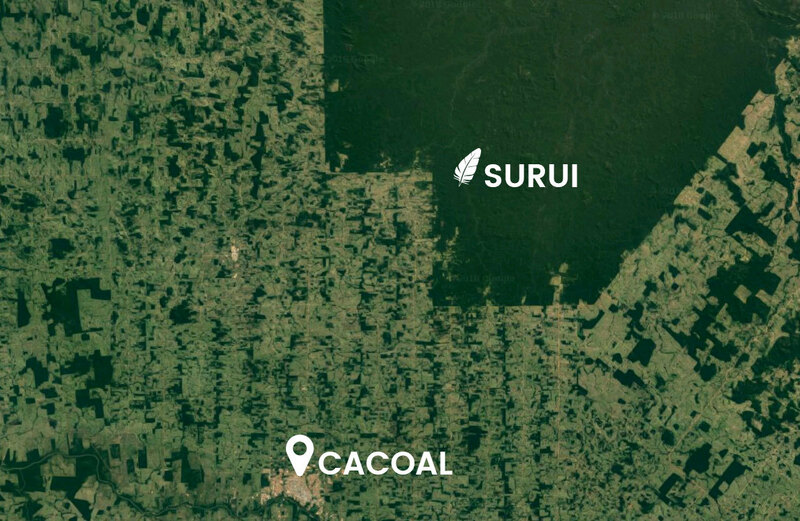 The Suruí people aim to plant more than one million tree saplings over the next decade to help reforest their land. They plan to raise funds through a UN-backed initiative that gives carbon credits to countries and communities that actively maintain and protect their forests.